Seafish calls for reshape of Responsible Fishing Ports Scheme. 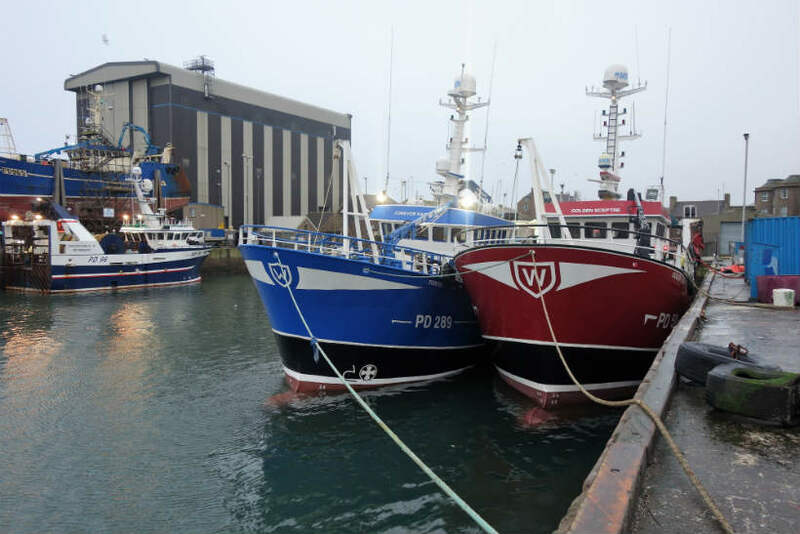 Seafish, the public body that supports the £10bn UK seafood industry, is calling for industry leaders to help shape a new version of the Responsible Fishing Ports Scheme (RFPS) for smaller ports, as Peterhead becomes the first large port to apply for RFPS certification. Launched in July 2018, RFPS is a voluntary certified programme designed to demonstrate responsible food safety and good operational practices within UK fishing ports and harbours. The independently audited scheme has been developed with the UK seafood industry to raise standards across the fishing ports sector and is currently open for applications from large fishing ports with an auction or direct sale function. The scheme’s standards provide assurance to buyers and sellers of seafood that certified fishing ports are acting in a responsible manner with the seafood landed or sold through the market. Following the launch of the large ports scheme, Seafish is now looking to develop a new version of the scheme for smaller ports. Industry leaders and representatives from small ports are invited to help by providing information about fishing port facilities and by joining a development committee which will steer the development of the small ports scheme to ensure that it is fit for purpose. The committee will also help to establish the assessment framework, which will be informed by the information gathered about facilities at small fishing ports. Progress on collating information to support the development of the scheme is underway following a schedule of visits to small ports across the UK. Support for the scheme has been expressed by Tony Usher, Harbours Manager at Highland Council, and Kevin Quigley, Chief Executive of Northern Ireland Fishery Harbour Authority, who have welcomed the initiative as a complement to the existing standard for large ports and indicated their willingness to become committee members to help steer the project and provide information to underpin the scheme’s development. Marcus Jacklin, RFPS Project Manager, said: “In the process of creating the Responsible Fishing Ports Scheme, it became clear that large and small ports each needed their own standard to ensure the scheme is fit for purpose and covers the requirements of all types of fishing ports and harbours in the UK. To find out more about getting involved in shaping the small ports scheme or applying for RFPS large port certification, contact Marcus Jacklin on marcus.jacklin@seafish.co.uk or 01472 252 340.